The Hip Positioner and Pad works with the Wenzelite Trekker Gait Trainer to position the hip and pelvis and allow the user to shift weight from one leg to the other. 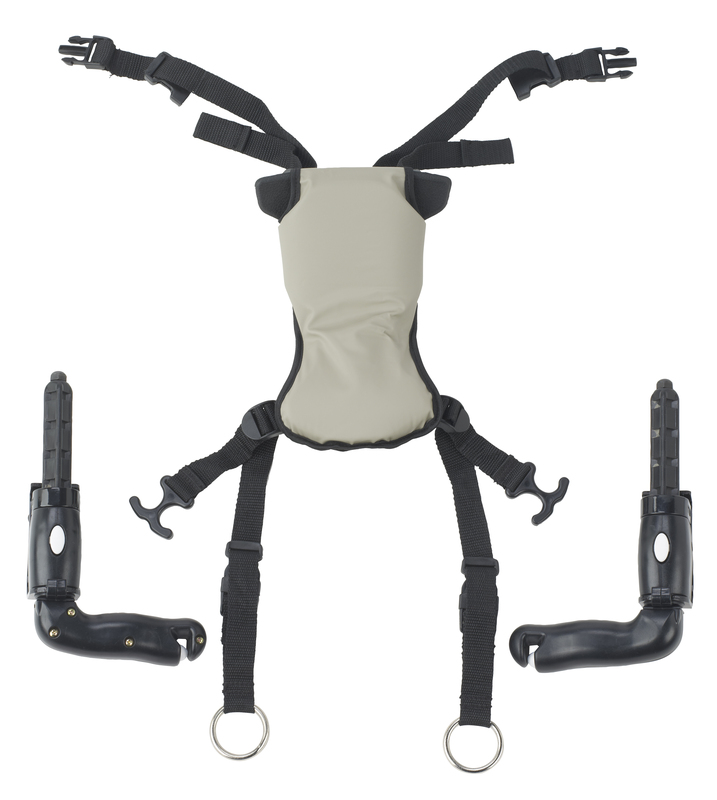 The straps can be shortened to assist in weight bearing or lengthened to use as a safety sling. Available in Small or Large sizes.